Most of us have a strong sense of privacy when it comes to our health care. Sometimes we may feel uncomfortable sharing our health conditions with family and close friends and certainly don’t like admitting to the fact that we may need some extra help when our health is poor. It’s hard for us to talk about the challenges we face when illness strikes because we fear losing our sense of independence. Home health care, the in-home medical support service that help patients live independently, can be an uncomfortable topic to discuss for some. However, home health care is vital to help maintain one’s health and an important subject to talk about with your family members, as they will often be your support system when taking care of your health.  The purpose of home care agencies, such as Edison Home Health Care, is to enhance each client’s overall health and well-being by offering quality care by providing patients with helpful services, allowing them to live independently. By assisting patients with activities of daily living (ADLs) like dressing, bathing, light housekeeping, providing clinical supervision such as checking vital signs, giving injections, and drawing blood, and by offering other medical services like wound care, home care agencies create a client environment that fosters healing without requiring the constant attention of a doctor’s oversight. For those of us used to being independent, powerful, and in control of their life, being open with family members and turning to them for help can feel embarrassing. It’s important to realize that taking steps to get the care you need demonstrates determination, responsibility, and strength. Nothing will reassure your spouse or children more than seeing you take responsibility for your own safety by sharing and entrusting your health in them. Talking honestly with the people who care about you about getting the help you need is a way to comfort the both of you. If you are on the same page about your health, neither you or your loved will be worried or concerned about whether you’re getting the care you need. Having a few extra pair of eyes can see things that you may personally overlook. Your family’s suggestions and input will be valuable as you put your plan together with your Doctor and home care agency. Your family is an essential part of your support system in when it comes to your health, comfort, and overall well-being and they deserve to know that you are getting the care you need. Although it can be hard at first, being open with your family about your health will benefit you immensely. When your health needs are properly being managed, and taken care of, you can both focus your attention on the parts of your relationship that bring you the most joy. If you have any home care questions and want to learn more Medicaid home care services, or are curious about what types of services will be best for you or a loved one, contact Edison Home Health Care. Start a conversation with your family and take control of your health care together.